Lawmakers return to the Capitol on Monday with a full week ahead of them, including a vote in the House that will attempt to override President Donald Trump’s first veto to terminate the border security emergency he declared. The House’s week starts Monday with votes on several bipartisan foreign policy bills aimed at providing humanitarian assistance to the Venezuelan people, codify the existing ban on arms sales to the Maduro regime, and counter Russian influence both in Venezuela and in European energy markets. Tuesday’s focus will be on an attempt to override President Donald Trump’s veto of a bill terminating his border security emergency, which will require a two-thirds super-majority. 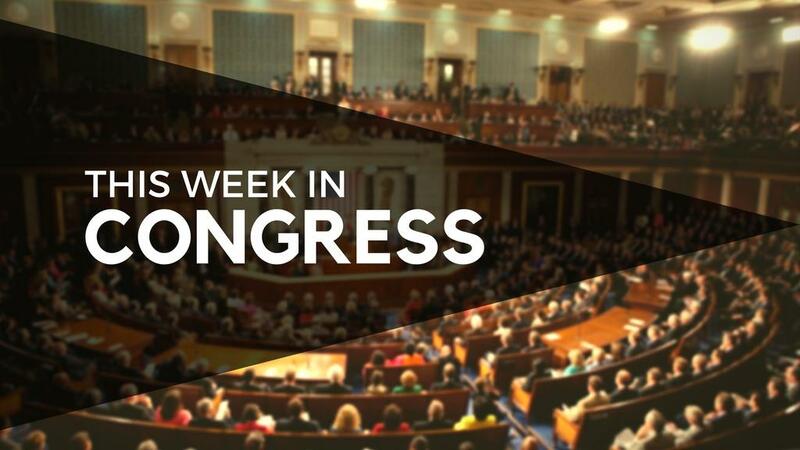 The rest of the week will feature consideration of a bill to strengthen wage discrimination protections and a resolution expressing that transgender individuals should be able to serve openly in the Armed Forces. The Senate convenes Monday with a procedural vote on the nomination of Judge Bridget Bade to the Ninth Circuit Court of Appeals. If it succeeds, her confirmation vote would likely be on Tuesday. When Senate completes its consideration of Bade’s nomination it’ll take a procedural vote on the Green New Deal, which would call on the federal government to achieve net-zero greenhouse gas emissions in 10 years while fighting income inequality. After it’s done considering the Green New Deal, the Senate will take up a bill providing disaster relief. H.R. 920: Venezuela Arms Restriction Act, as amended Passed by voice vote. H.R. 854: Humanitarian Assistance to the Venezuelan People Act of 2019, as amended Passed by voice vote. H.R. 1616: European Energy Security and Diversification Act of 2019, as amended Passed 391-24. H.R. 1839: Medicaid Services Investment and Accountability Act of 2019 Passed by voice vote. H.R. 1477: Russia-Venezuelan Threat Mitigation Act, as amended Passed by voice vote. H.J.Res. 46: Terminating the Border Security Emergency Declaration Failed 248-181 (two-thirds majority required for a veto override). H.R. 1388: Lytton Rancheria Homelands Act of 2019 Passed 404-21. H.R. 297: Little Shell Tribe of Chippewa Indians Restoration Act Passed 403-21. H.R. 7: Paycheck Fairness Act Passed 242-187. H.Res. 124: Expressing opposition to banning service in the Armed Forces by openly transgender individuals Adopted 238-185, 1 present. Cloture vote on the nomination of Judge Bridget Bade to be U.S. Circuit Judge for the Ninth Circuit Invoked 77-20. Confirmation vote on the nomination of Judge Bridget Bade to be U.S. Circuit Judge for the Ninth Circuit Confirmed 78-21. Cloture vote on the motion to proceed to S.J.Res. 8: Green New Deal resolution Failed 0-57, 43 present. Cloture vote on the motion to proceed to H.R. 268: Additional Supplemental Appropriations for Disaster Relief Act, 2019 Invoked 90-10. Motion to proceed to H.R. 268: Additional Supplemental Appropriations for Disaster Relief Act, 2019 Agreed to by voice vote. Confirmation vote on the nomination of Nicole Nason to be Administrator of the Federal Highway Administration Confirmed 95-1.